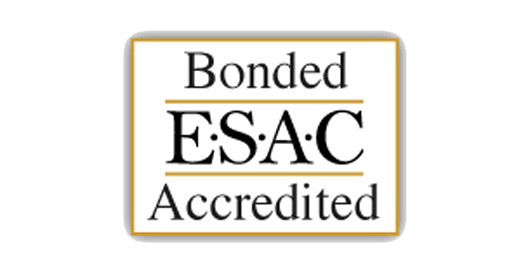 ESAC Accredited | Human Resources Inc. Since 2006, Human Resources, Inc. has had the honor of being one of the few PEOs in our region that is ESAC accredited. The Employer Services Assurance Corporation (ESAC) is an independent group formed to develop strict standards and procedures for the operation of a professional employer organization. Similar to FDIC for the banking industry, it provides services, assurances, and verifies that professional employer organizations and their subsidiaries are meeting best practices and adhering to important ethical, financial, and operational industry standards. ESAC serves not only as a gatekeeper for the industry’s best HR consulting companies, but monitors these companies to assure they maintain the highest level of expertise and service. Moreover, the organization guarantees up to $11 Million in the unlikely event of default in payment of wages, taxes, benefits, and insurance premiums for clients of accredited firms. Fast 24/7 online verification that your HR consulting company is financially stable, is in compliance with important state and federal employment laws, and PEO regulations for HR consulting businesses, and is owned and operated by qualified people who have a personal and business track record of meeting their obligations in an appropriate manner. Financial assurance for covered clients and employees through surety bonds held in trust by Regions Bank in the unlikely event of a failure of an accredited PEO. However, such a failure has never occurred. Review of ESAC standards and procedures by your advisors, such as your attorney, CPA, and insurance professional, provides an additional level of confidence in the credibility of the accreditation process and in the reliability of your HR consulting business.